For the past month I have been caught up in the middle of sewing madness. Last week I drove 4 hours north to visit my friend Colleen (AKA the fabulous Saratoga Mama) and attended Saratoga Baby & Toddler Expo, which was my first expo ever. I had no idea what to expect. Let me tell you, there is a ton of pregnant women in Saratoga Springs and 95% of them are due in June… interesting. They were all very nice and chatty so the 4 hours flew by super fast. 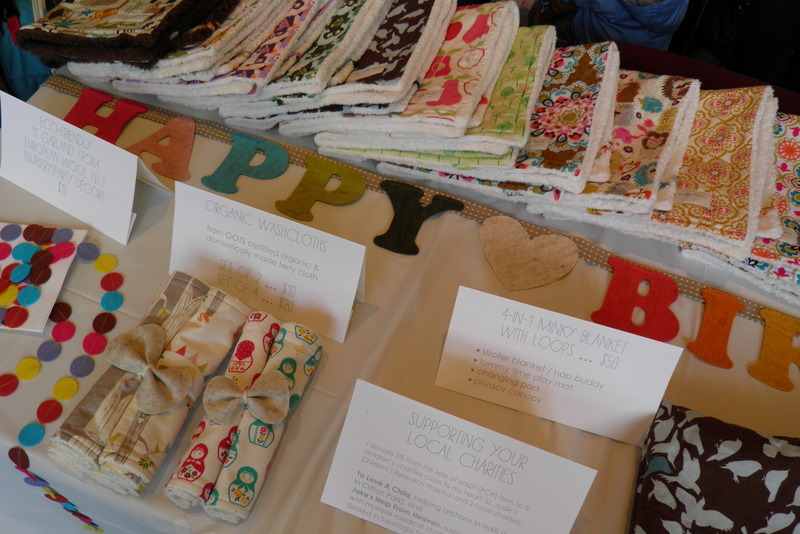 I was so glad to be there, all the local vendors were really awesome and the products were amazing, mostly handmade & eco-friendly. 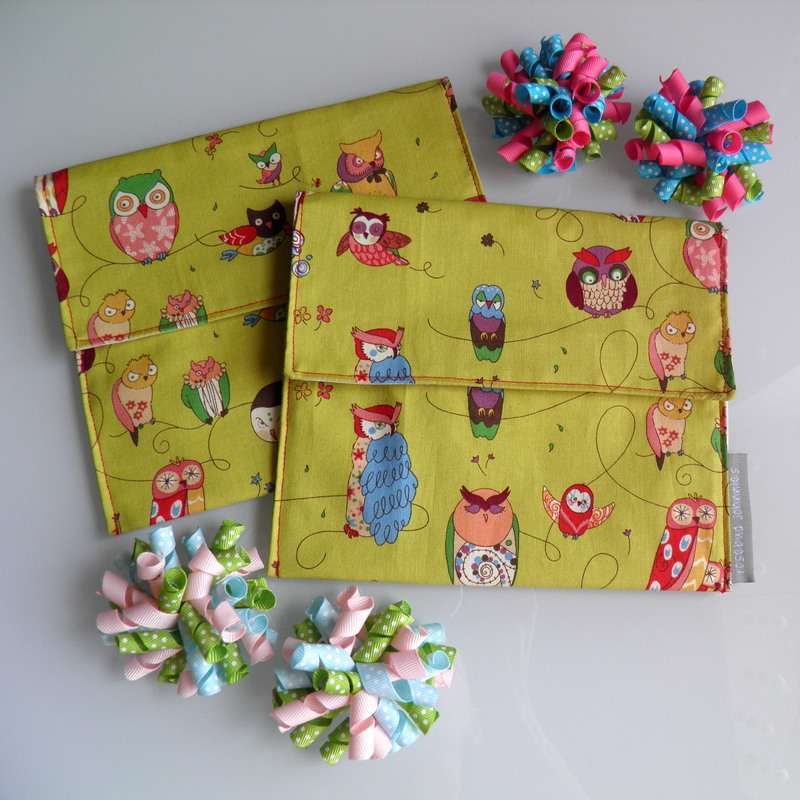 I couldn’t resist and bought a set of handmade fabric snack bags from Rosebud Johnnies and some cute handmade hair accessories for my friends’ daughters from Foxy Baby Design. Obviously, I couldn’t compete with their professional setup but I managed to display all of the 29 items I brought with me (it kept getting unorganized because people were examining them which didn’t go along my neurotic nature but I just had to deal with that internally and kept smiling). Thank you, Kyla 🙂 You too! Veronika, I’m so proud of you! You are the best and you have the best products ever!!!! I love reading this blog, it’s so informative and so much fun to read. It’s such a good resource to all the mothers out there. You are a baby guru!! Thanks, Shira, you are such a huge supporter, thank you so much! !